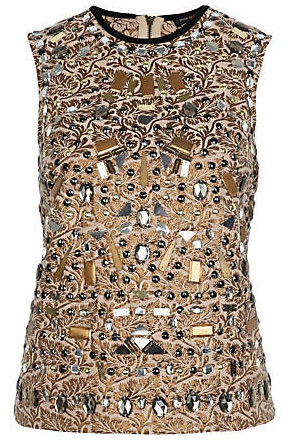 Crazily embellished. Insanely gorgeous. So perfect for the holiday hysteria. But wait: can you imagine with white jeans next summer? Yes!!!! 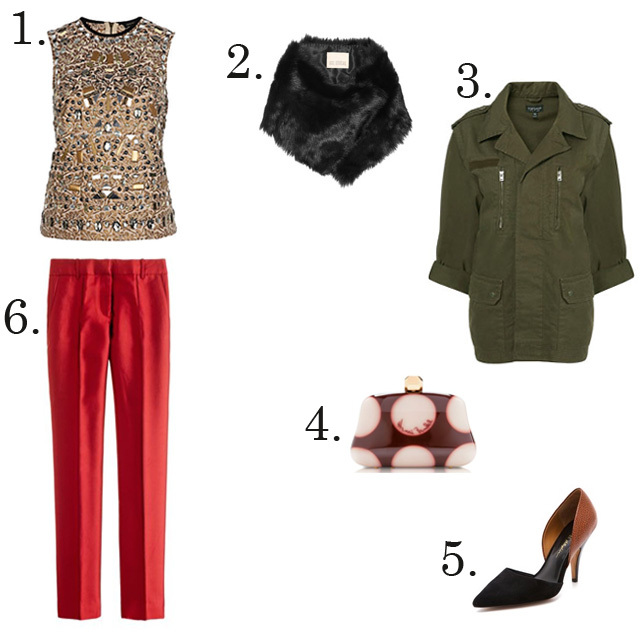 Could you wear this top with a fitted black skirt (falls right below the knee, leather trim with a side slit)? I also saw beautiful oxblood-colored velvet shorts from Topshop? Trying to stay away from pants if at all possible, so any suggestions would help. Thx! Yes, it would look great with a skirt, and I also love the idea of wearing it with shorts. I saw those velvet shorts at Topshop in London and they're gorgeous. My friend bought a pair!